Everyone in our house loves blueberries! I love summertime fruit. It’s so fresh and sweet, it’s very affordable and there’s so many choices. 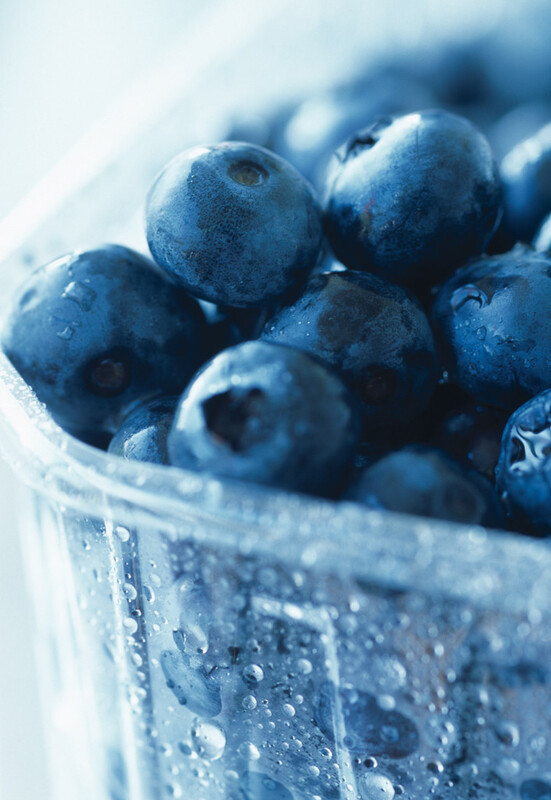 One of our favorites is blueberries and besides being just overall delicious, they’re super good for you too. Good thing, because we eat tons and tons of them. 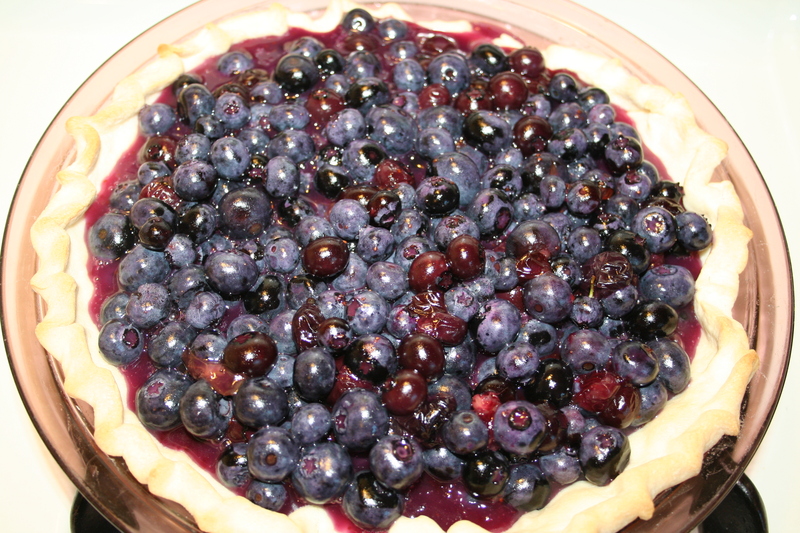 A few years back my mom passed along an easy no-bake blueberry pie recipe to me that she found in our local newspaper. Aunt Molly is no relation to us! I’ve used the recipe several times and even posted it on Facebook a couple of years ago, so some of you may have seen it already. It’s fast, it’s easy, there’s no need to turn on the oven, and it’s yummy. Serve it with whipped cream or ice cream if you’d like. This pie is easy, tasty and pretty! Cooking on the stove, not in, makes this a cool recipe for a hot summer day. Put 1 cup of the blueberries in a saucepan. Mix water and flour together and add to the pan. Add sugar and salt. 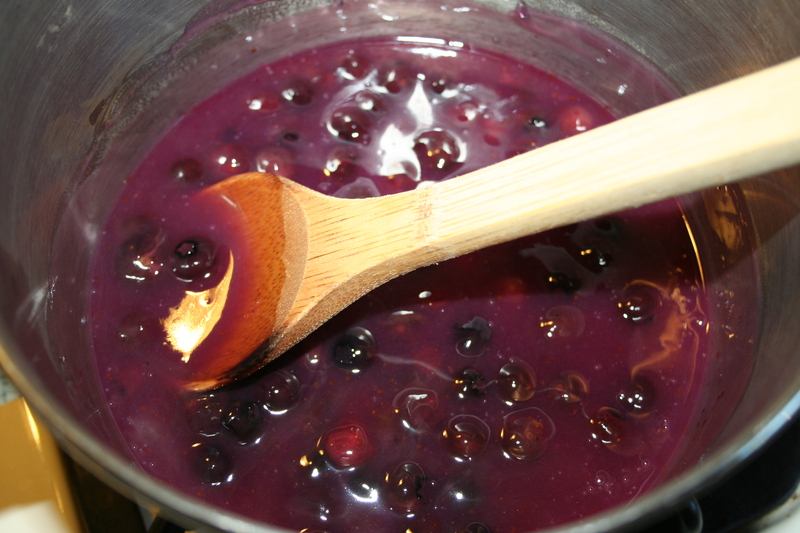 Start cooking on high until first bubbles appear, then lower to medium heat, stirring frequently until thickened and the berries are a deep color, 7-10 minutes. Some berries will pop. Remove from heat and let sit a few minutes. Add remainder of uncooked berries to the pan using a spatula to scrape juices into mixture. Mix well and again let it sit a few minutes, then pour into pie shell. Gently level off. Allow to set and cool completely before slicing. It may take several hours for it to reach room temperature, or even overnight. Refrigerate after cutting. Note: If using your own pie crust, bake it for 10-15 minutes until cooked and cool before filling. Whipped cream makes a nice topping but so, too, does ice cream. I’ve never tasted any blueberry pie yet. I hope I could try your recipe soon. Thanks for sharing it with us.